New Orleans may be the best-known place to celebrate Mardi Gras, but this decadent festival is celebrated in many cities throughout the world and can even be celebrated right in your backyard. Mardi Gras (aka: Fat Tuesday) is an annual event that ends the day before Ash Wednesday, which is the first day of Lent. 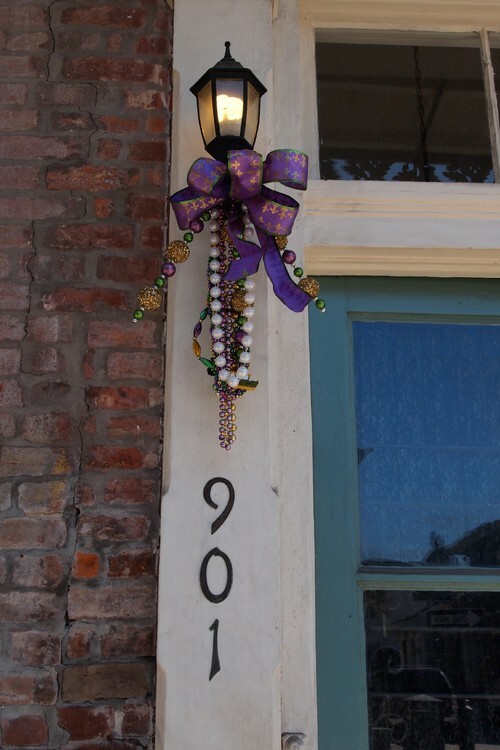 Historically, Mardi Gras was celebrated to squeeze in just a little more indulgence before Lent began and it was time to fast for 30 long days. While many folks continue to fast or give up one of their favorite vices for the religious tradition of Lent, there are now plenty of folks who celebrate Mardi Gras with no intention of giving anything up on Ash Wednesday. If you are considering throwing a Mardi Gras party this year, remember that it does not have to actually fall on Fat Tuesday. 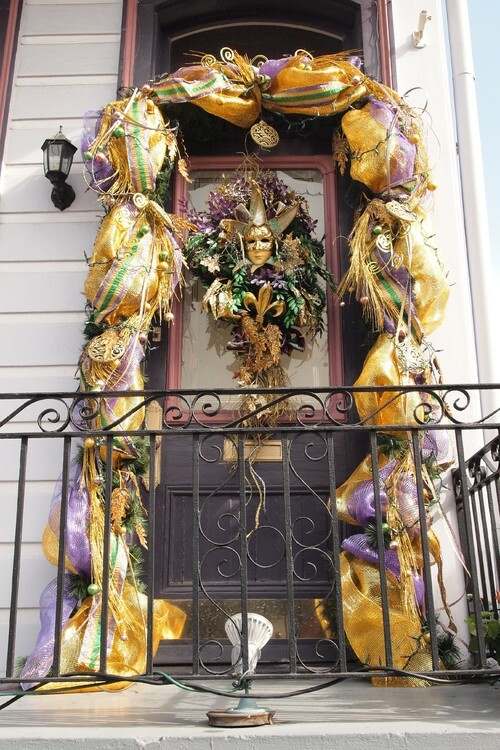 Mardi Gras celebrations can last for days, so it is perfectly fine to host your party a weekend or two before the actual holiday. And, of course, you can always throw a backyard party with a Mardi Gras theme any time of the year. Here are 10 Mardi Gras theme party ideas and tips to help you plan the perfect party this year. And remember: indulgence is part of the point so do not be afraid to go over the top with decorations, costumes, and party favors. 1. Stock up on beads. Regardless of what you do for any other aspect of your party, you have to have Mardi Gras beads. This is one symbol that everyone associates with this celebration and your party simply will not feel like Mardi Gras without them. Hand them out at the door so that every guest has at least one string of beads and use them as decorations strewn across tables with handfuls of doubloons and confetti or hanging from posts or fences near your outdoor entertaining area. 2. Include the traditional colors. 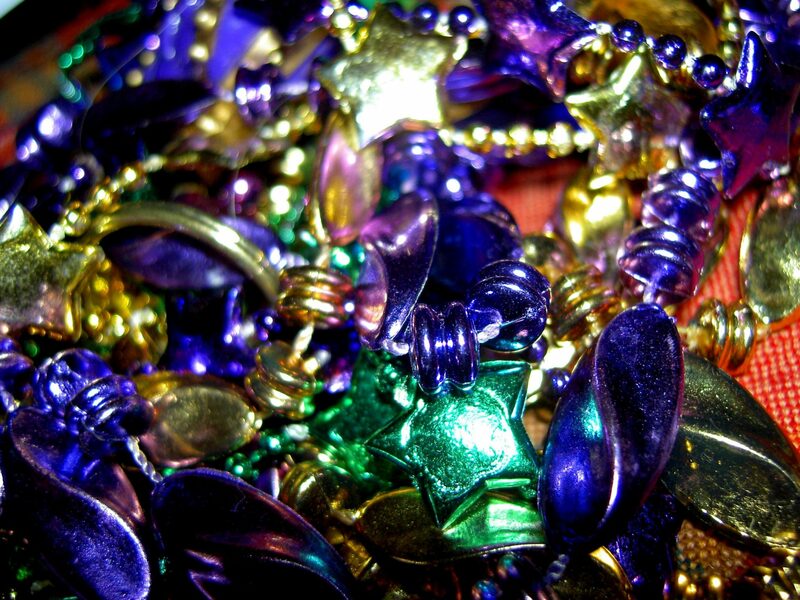 The traditional colors of Mardi Gras are purple, green and gold. You can incorporate other colors (jewel tones are often best) in your party decorations, but be sure to include plenty of purple, green and gold to keep your party theme on track. Part of the fun of Mardi Gras is to see just how over the top the costumes can be. Make sure to include a note in the invitations that encourages your guests to wear costumes, and you might consider hosting a costume contest that will inspire your guests to get even more creative. 4. Set up a mask-making table. 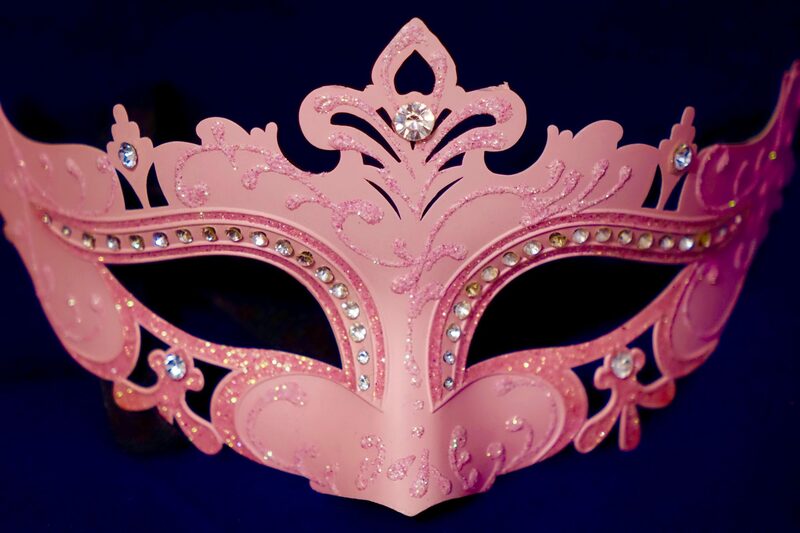 Some of your guests will likely arrive wearing masks, but for children and the adult guests who did not bring their own, a mask-making table can be quite fun. Head to the crafts store beforehand to stock up on plain masks, glue sticks, glitter, sequins, beads, feathers, markers, fabric and lace. If there will be children in attendance, be sure to assign an adult to the craft table, since there will be glue, scissors and choking hazards within reach of little hands. 5. Hire a face painting artist or ask a guest to volunteer. This one is particularly fun if there are teenagers or younger children at your party, but many of the adults will probably get in on the action as well. If you are planning to have volunteer face painters, make sure to ask them well before the party and schedule more than one so that they can take breaks to enjoy the festivities. 6. Rent or collect photo props. You know everyone is going to be taking selfies and group photos at your social gathering, so you might as well make it even more fun with photo props. You can rent photo props from some party rental companies, purchase them online or find them at party stores. You can put together your own photo prop kit from dollar stores and thrift shops, but it requires time and patience to find the perfect pieces, so it is usually easier to rent or purchase a set of photo props. For the backdrop, you can simply hang a piece of festive fabric or a tablecloth in the section of your outdoor living area that has been designated for taking fun photos. There are lots of delicious options when it comes to Creole and Cajun food, so you have a wide range of dishes from which to choose. Popular options you might consider include red beans and rice, jambalaya, crawfish, catfish, Cajun shrimp or seafood Po’ Boys. 8. Do not forget the King Cake. King Cake is a Mardi Gras tradition that varies in different areas of the world but generally consists of a ring-shaped cake with a bean, nut or plastic baby inside. While the tradition varies from place to place, the guest who receives the piece of cake with the bean, nut or baby in it is usually treated to particular privileges or required to take on certain obligations. For the purposes of your party, the person who gets that piece of the cake could win a special prize, sit at the head of the table or get to choose which games are played. 9. Plan for some fun party games. Since your backyard Mardi Gras party probably will not have a parade, you may need to come up with some activities to keep your guests in a festive mood. Carnival games or party games will work just fine for this, but make sure you have some fun prizes that go along with the party theme. To tailor your games for this particular event, you might consider a bead toss, pin the beads on the donkey or a doubloon toss. 10. Give yourself plenty of time for party supply shopping. If you are hosting your Mardi Gras party around the same time as Mardi Gras, you will have no problem finding themed goods for your gathering everywhere from your local dollar stores to even some grocery stores. If you are, however, hosting a Mardi Gras themed party at some other time of the year, you will have to work just a little harder to get your goods. It will still be easy to find everything you need for decorations and party favors, you just might need to order them online or go to a dedicated party store, such as Party City.